Our client was a 62 year-old supermarket chef, who presented to an emergency room after cutting his hand at work. After noting that his hand and fingers had “full range of motion,” the wounds were sutured. Weeks later a hand specialist discovered that our client had sustained a torn extensor tendon to the middle finger and was now unable to open that finger. Even after surgery to reconnect the tendon, complications ensued and our client was unable to return to work. At trial, in Supreme Court, New York County, the hospital’s lawyers noted that the possibility of a tendon injury had been ruled out by the physical exam, which showed “full range of motion”. However, our expert explained that the hand contains a band of fiber known as the juncturae tendinum, which can permit motion to a finger even after a tendon has been cut because of its connection to the other fingers. We successfully argued that the standard of care required further testing before ruling out a tendon injury.  The jury returned a verdict in favor of our client for $1,278,000.